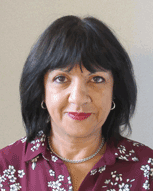 As Widening Participation and Outreach Manager, Baljit works closely with the Head of Widening Participation and Outreach to ensure the smooth operational running of all aspects of the team’s work. She also line manages the widening participation team and supports the Head of Widening Participation and Outreach in the delivery of the department’s strategic aims and objectives. Baljit joined the University of Warwick in November 2017. As Widening Participation and Outreach Manager, Catherine works closely with the Head of Widening Participation and Outreach to ensure the smooth operational running of all aspects of the team’s work. She also line manages the widening participation team and supports the Head of Widening Participation and Outreach in the delivery of the department’s strategic aims and objectives. Catherine joined the University of Warwick in June 2016. 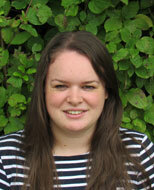 Katie moved to the Midlands from Pembrokeshire in Wales, and has worked in the Widening Participation Team since 2009. 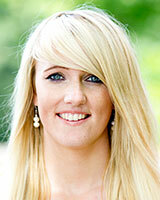 Previous to this, Katie studied Sport and Exercise Sciences at the University of Wales in Cardiff. Katie’s current role is to manage the Outreach Support Team, overseeing programme and activity administration, and supporting in the delivery of all WP events. Katie manages all communications to schools, incoming school requests, and also runs the Schools Warwick Visit events in collaboration with the Campus Events Team. 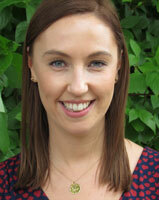 Katie also manages the website, and is responsible for the financial procedures of the team. Sarah joined the team in February 2019 through Unitemps. Before this, she completed her Bachelor's degree in Sport and Exercise Science at the University of Hertfordshire. In her role as Widening Participation Assistant, Sarah provides support to our Outreach Officers in the organisation and planning of WP events. Sarah is proud to work in a team that breaks down socio-economic barriers to Higher Education and to be able to support Outreach Officers in making a difference to the lives of young people who are affected by these barriers. Anna first joined the team in July 2018 as a Marketing Intern, after which she assumed the role of Widening Participation Assistant. Prior to commencing work in the Outreach Team she completed her Bachelor's degree in Politics and International Studies (studying at the University of Warwick). During her internship Anna focused on updating the Outreach Team’s resources and is now continuing this with the launch of a new social media strategy. In her role as Widening Participation Assistant, Anna provides support to our Outreach Officers in the organisation and planning of WP events. Marie came to England from Strasbourg, France in 2003 as an Erasmus student and from 2008 to 2013 worked as a Primary School Teacher. She joined Warwick in 2013 as an Outreach Officer and is responsible for the Realising Opportunities Programme, the Warwick Bright Stars Primary School Programme and the Experience Warwick Year 12 Summer School. Marie says that ‘Working with young people is incredibly rewarding and I enjoy helping them define their aspirations and reach their goals through our programmes’. 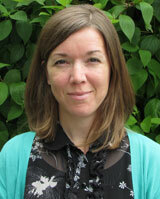 Catherine has worked in Widening Participation roles since 2007, joining the team at Warwick in June 2015. Her previous roles involved summer schools, Masterclasses, school visits and working with care leavers and looked after children. Here at Warwick, she is responsible for the UniTracks programme, Warwick’s national programme for ‘most able’ pupils from disadvantaged backgrounds and is the WP Link Officer for the Faculty of Science. 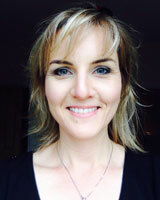 Prior to working in higher education, she was a languages teacher and spent three years in Japan as an Assistant English Teacher on the JET Programme. Maria joined the University of Warwick in 2016 to work within the administration of Undergraduate teaching programmes in the Department of Economics, which also included involvement in the recruitment of students onto the Study Abroad programme. Prior to this, Maria worked as a Modern Languages teacher at an international school in South India and as a Key Stage 4 Teaching Assistant at a Coventry secondary school. These experiences consolidated her passion for education and working with young people. Maria has joined the Widening Participation team as coordinator for the Warwick Sutton Scholars programme, with the desire to empower young people to overcome barriers to Higher Education, to discover their ability to be leaders and to make a significant contribution to society. Victoria joined the Widening Participation team at Warwick in July 2016 as an Outreach Officer, currently leading on the Experience Warwick programme and has previously managed the Student Progression Team, both supporting local students across Coventry and Warwickshire. Victoria discovered her passion for working with young people through working as a student ambassador whilst studying for her history degree and previously worked in the Widening Participation team at the University of Nottingham across a number of programmes focussing on academic enrichment. In her spare time she is involved in volunteering on residential camps supporting young people and their families affected by serious illnesses. 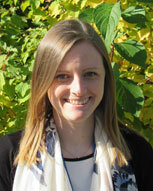 Emily joined the Warwick team in March 2019, after spending time at University of Oxford and the Study Higher NCOP in WP roles. She has contributed to a variety of WP programmes - including summer schools and peer mentoring programmes - and has dedicated her career to ensuring that all young people have the opportunity to make informed decisions about their futures. She is responsible for Warwick's Student Progression Team project, which gives local school students the opportunity to meet and learn from a group of fantastic Warwick undergraduates. Laura joined the University of Warwick in September 2017. Previous to this, Laura worked within an outreach team in the charity sector, recruiting young people onto personal and social development programmes, as well as employability programmes. Laura worked as Pathways to the Professions Coordinator for 18 months before moving into her current role as Outreach Officer with particular responsibility for the Pathways to Law and Pathways to Banking and Finance programmes in February 2019. Paul originally joined the Widening Participation team in 2015 as Widening Participation Assistant. After a yearlong secondment in 2018 supporting ‘ThinkHigher’ one of the 34 HEFCE funded ‘National Networks for Collaborative Outreach’ (NCOP) for Coventry & Warwickshire, Paul returned to take up the post of Pathways to the Professions Coordinator within the Outreach team. Whilst working in the Widening Participation team, Paul completed his Bachelor’s degree in Social Studies at the University of Warwick part time. Paul has also worked in the admissions team at the University of Warwick, supporting the postgraduate team process applications. Coming from a ‘WP’ background himself Paul see’s the value in the work the team does and is extremely passionate in supporting students from low participation neighbourhoods to consider higher education. As Widening Access and Lifecycle Manager Cherryl supports the Head of Widening Participation and Outreach in the delivery of the department’s strategic aims and objectives with a particular focus on the Lifecycle approach to widening participation at Warwick. Cherryl also line manages the Progression to Postgraduate officer and previously project managed the university’s involvement in the HEFCE-funded Postgraduate Support Scheme (PSS). As well as the PSS collaboration with the universities of Leeds, Manchester, Newcastle, Sheffield and York, Cherryl has worked in close collaboration with Monash University to develop and implement the education strategy for the Monash Warwick Alliance, and previously held the post of partnership manager for Aimhigher Coventry and Warwickshire, working with widening participation colleagues throughout the wider West Midlands region. Cherryl first joined Warwick in February 2012 and returned to the widening participation team in February 2018. Jo joined the team in September 2018. Prior to working at Warwick, Jo worked on the National Collaborative Outreach Programme in Birmingham, developing interventions and activities to support students from low participation neighbourhoods to consider higher education. Jo studied Modern Languages at the University of Sheffield, spending a year abroad as an Erasmus student, before working as a languages teacher and Deputy Head of Sixth Form between 2007-2017. Jo believes strongly in the transformative power of education and will be working on a new programme which will support students to achieve a place at Warwick and be successful throughout their time here. Andy joined the Widening Participation (WP) team in November 2018. Having undertaken a Genetics degree at the University of Leicester, he discovered his passion for WP working as a plant geneticist whilst supporting science outreach and residential summer schools. In 2005 he combined his love of science and passion for WP when he took up a WP role leading on Aimhigher health-related and disability awareness programmes. Since then he’s been involved in many areas of WP activity including the design and implementation of student focussed progression programmes such as Realising Opportunities and LEAP. Here at Warwick, Andy works closely with WP students throughout their educational journey. He leads on the Warwick Scholars Programme (WSP) and associated activities which supports student transition, retention, success and progression here at Warwick. He also closely links up with the wider access and attainment work within the WP team. 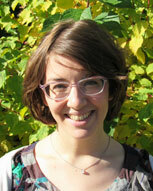 Tammy joined the Widening Participation (WP) team at Warwick in March 2018 and has worked in WP research and evaluation since 2011. She leads and supports the University’s approach to evaluating and monitoring the impact of its WP work across the student lifecycle. Her responsibilities also include line managing the Research and Evaluation Officer and supporting the Head of WP to develop the evidence base, promoting and championing best practice in the field both internally and externally. Kate joined the University of Warwick in 2012 as Research Officer for Undergraduate Admissions before moving over to be Research and Evaluation Officer in the Widening Participation Team in 2015. Kate is responsible for analysing, reporting and benchmarking trends in student data, overseeing and developing the HEAT database, evaluating the impact of Widening Participation activity and outcomes, and improving the evaluation and visibility of our Widening Participation activity. Joanna joined the Widening Participation team in 2019 as Data Analyst. 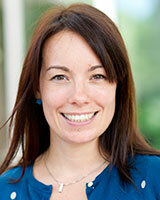 Prior to this, Joanna completed her PhD in biological sciences at Aberystwyth University. 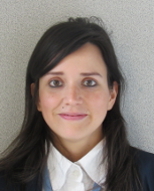 Joanna is responsible for evaluating the impact of Widening Participation activities, examining the scope of our Widening Participation activities regionally and nationally, and analysing trends and patterns in student data. She also supports the Research and Evaluation Officer and the Evaluation and Evidence Manager in building evidence for and evaluating our WP work and outcomes. Wallis joined the university in October 2018. Wallis studied for a BeAr at the University of Warwick in Adventure and Inspiration Education before going on to a career in Widening Participation. Wallis is passionate about meeting new people, raising aspirations, and eating chocolate hobnobs. He features frequently on our Instagram @outreachatwarwick. If you see him at an event, come and say hello!